Good question! The answer? If only it were easy to figure! Getting a raise, promotion, or accepting a new position often means more money in your pocket. But it can also mean a change in your taxes. (In rare cases a salary increase can actually mean less net pay!) The IRS has a dizzying amount of tax and deduction thresholds–think of it as an income level trigger–so that it is almost impossible to remember each one, or more importantly when you have reached and passed one. 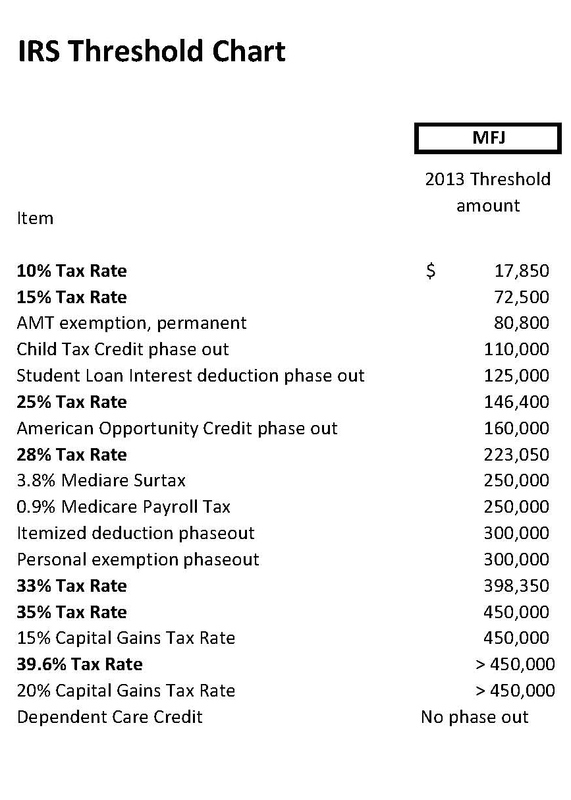 Presenting our extremely handy IRS threshold charts! These charts give the 2013 thresholds (the 2014 ones still unavailable) in ascending order. -The first chart is for couples filing married filing joint tax returns. The second is for individuals filing single tax returns. -A “phase out” is when a deduction or credit starts to become increasingly smaller. 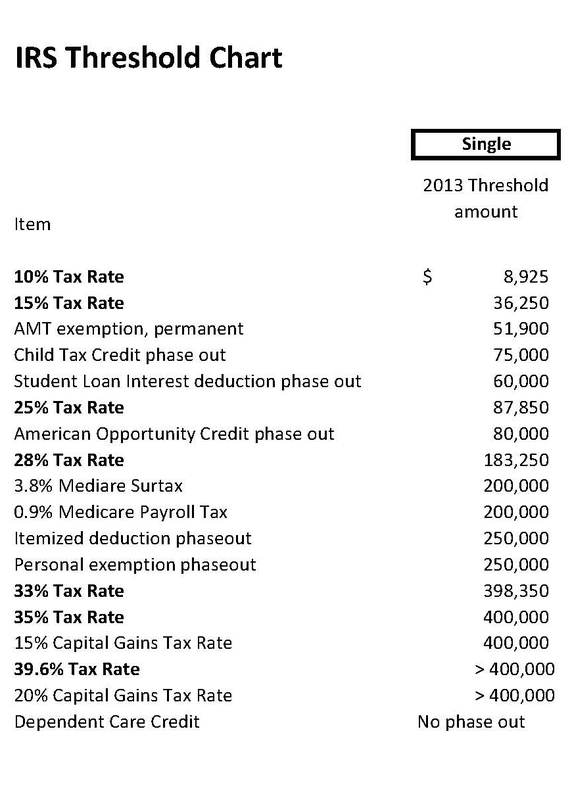 Usually the higher the income, the smaller the allowed deduction or credit until it is entirely gone. ← Stay-at-home parent? You need retirement savings, too!